Yola is 2 years old. 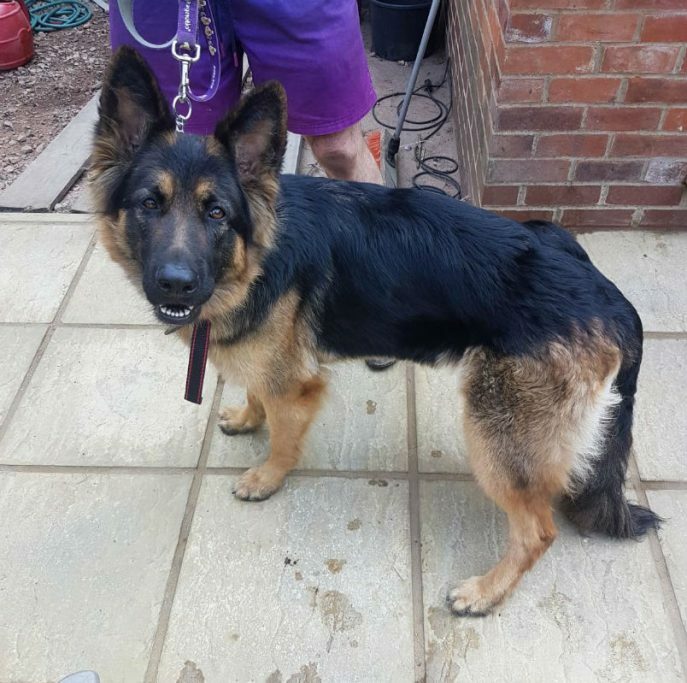 Spayed, vaccinated and microchipped, she has been in the same home since a pup. 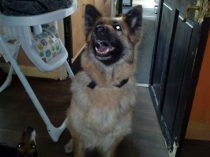 She is good with children but selective with other dogs, more so on lead, and a no to cats and she will chase birds! 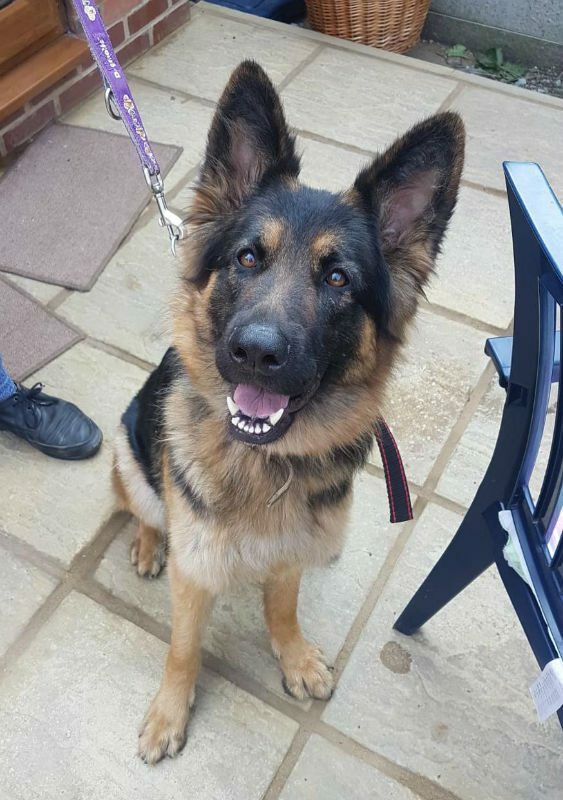 Yola does need some further lead training as she will pull to start but has recall and basic commands. 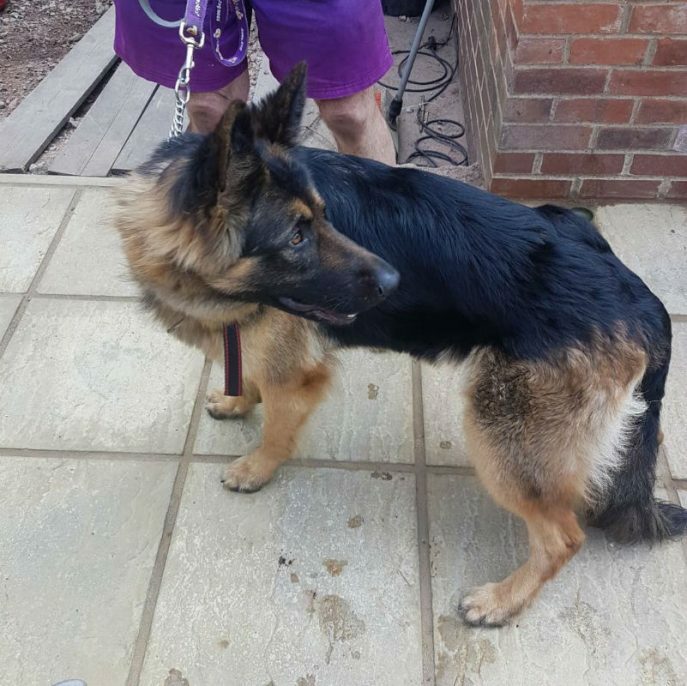 Typical GSD, she barked when our volunteer visited her in her home but there was no aggression. Found to be very friendly and eager to please! Can be barky at other dogs when in the car or on the lead, but no issues off lead at dog training with other dogs. 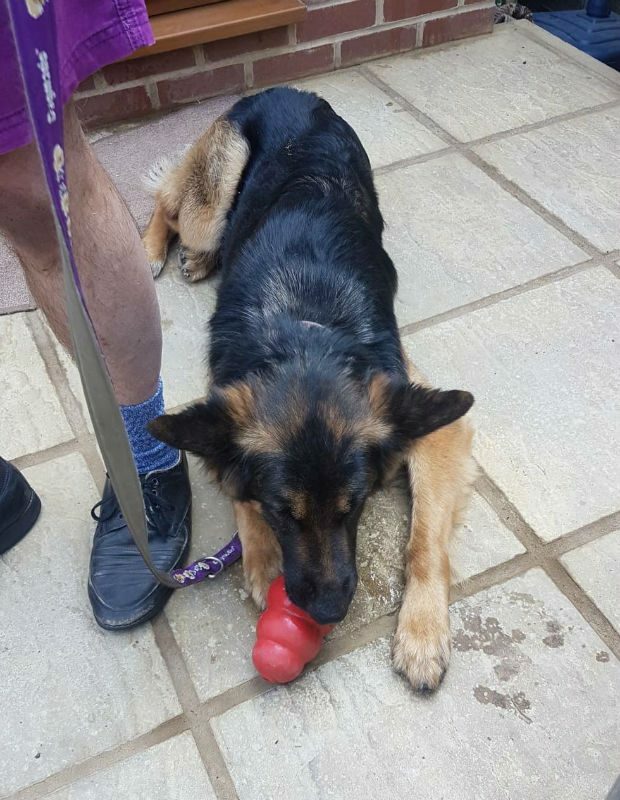 Being rehomed because there is increasing tension and hostility towards Yola by her owner’s other 2 dogs. Can you give this lovely lass a home please? 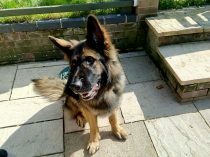 Yola has been rehomed by her owner.